The answer to that as of last Friday is...YES! We found out last week that we are having a little girl. It is still hard to write and/or say it without it sounding a little weird. 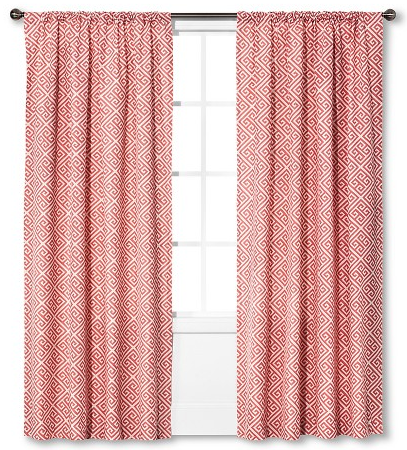 I catch myself talking about "her" nursery or saying that "she's moving" and then I just kind of giggle to myself. I guess I never really, truly thought I would have a baby girl and it is such a fun and sweet feeling I get when I think of her. How did you tell Mike? Mike opted not to go to the ultrasound since my mom was going with me and he chose to come to my classroom gender reveal party later that day to find out the news with the rest of my students, parents and co-workers. I have to say that it made the day even more exciting knowing that I had the secret and he didn't know yet. I knew he genuinely thought we were going to have a boy (notice his shirt) and he was really, really surprised to see the pink balloons. I think the shock of it all is starting to wear off and he's coming to grips with the idea of raising a little lady. The moment he saw the pink! He looked at me and said, "Really?!?" Food cravings or missing anything? I am still missing Pinot Grigio, Spicy Tuna Rolls and Dippy Eggs. Not really many cravings to report, trying to maintain normal eating habits and incorporating as many smoothies into my routine as I can to get extra servings of fruit and veggies. Have you felt the baby yet? Yes! The flutters are getting stronger and stronger each and every day. This is by far my favorite part of pregnancy, I love feeling her! I really can't complain. I'm sleeping well, besides a nasty cough I am finally over I am getting plenty of rest. Lord knows I am going to need it. Thoughts on having a girl? Honestly, I am nervous and excited. Just like I was with Everett. I can't wait to see the differences and similarities; and I can't wait to see what a great big brother E will turn in to (eventually, I'm sure). Most of all, just like with E, I can't wait to see what she looks like. I will say that I am feeling more "girly" since finding out; I bought some new hair clips and colored lip gloss. Pregnancy words that make you cringe? Pooch. My least favorite of all time. "Oh, look at your pooch!" Ugh. I do have to admit that after we found out we were expecting a girl, Mike went to have a drink with a friend and my mom and I went shopping that afternoon! We didn't do too much damage, but now knowing which direction we are going for the nursery (see inspiration picture below), we couldn't (and can't) wait to get busy! 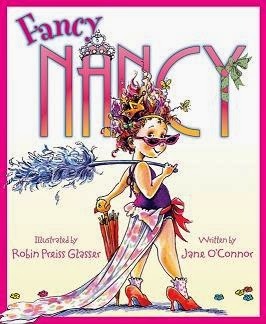 We also bought just a few outfits and I know there will be some Fancy Nancy (my favorite children's series) book purchases in the near future.